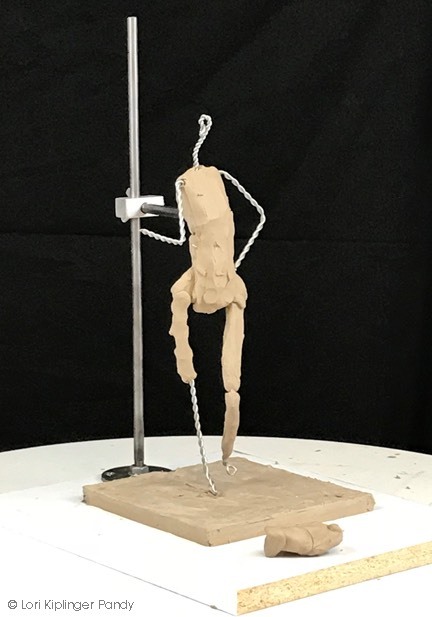 Now that the armature board and the armature are made it if time to start adding the clay. I am going to be sculpting a 12” maquette of the sketch from blog post #12. 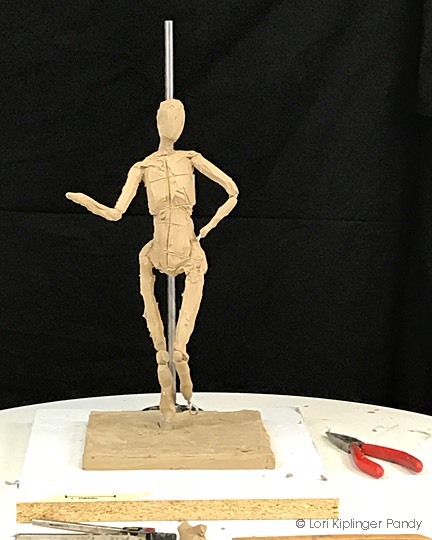 I start by making a square of clay for the base (plinth) and begin to add the clay onto the wire armature. As discussed in me previous post, I have made the armature to be 8 ‘head’s high. At 12” that means that one ‘head’ measurement is 1.5”. 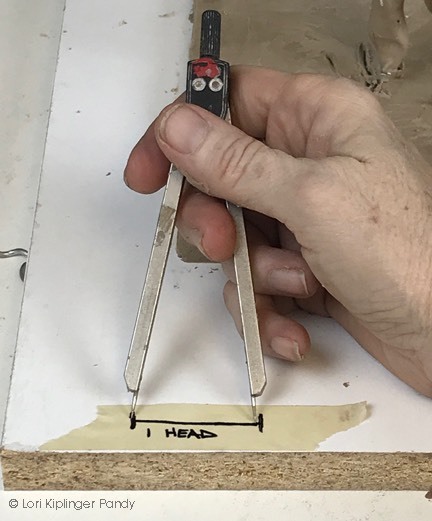 I placed a small piece of tape on my armature board and using a Sharpie I have marked one ‘head’ at 1.5” long to use as a measuring guide. 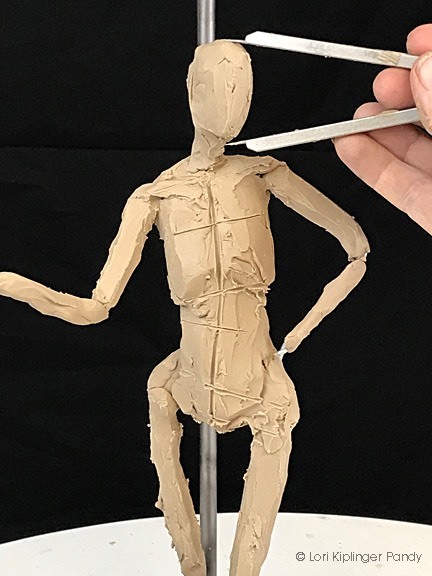 I add the clay as a simple skeleton form and make line guides on the clay for reference. The calipers are constantly in use, checking on the scale and measurements as I work.